Nike's We Own The Night - Ready, We Ready! We picked up our race packs, got our pre-race photos taken in Niketown, received our race information ... now there's just one more thing to do - Run Da Ting! 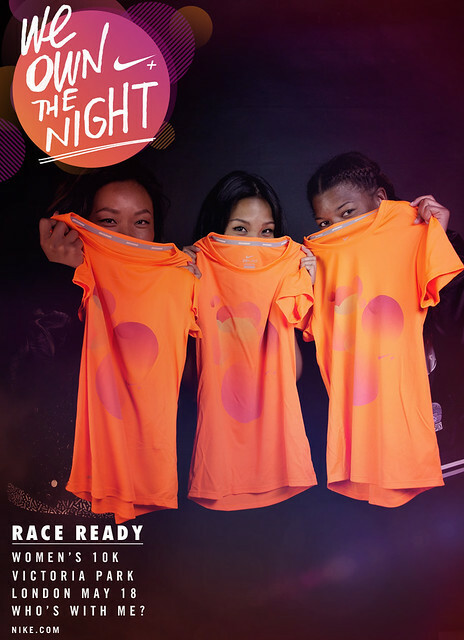 Tomorrow evening we will be running alongside our sisters, the ladies of Run Dem Crew and thousands of other women taking part in Nike and ELLE's We Own The Night Women's 10k. Running in all conditions across London, Rotterdam, Mexico and Flores (..a little run we did before this accident) for the last 6 weeks in the run up to We Own The Night has prepped us well. 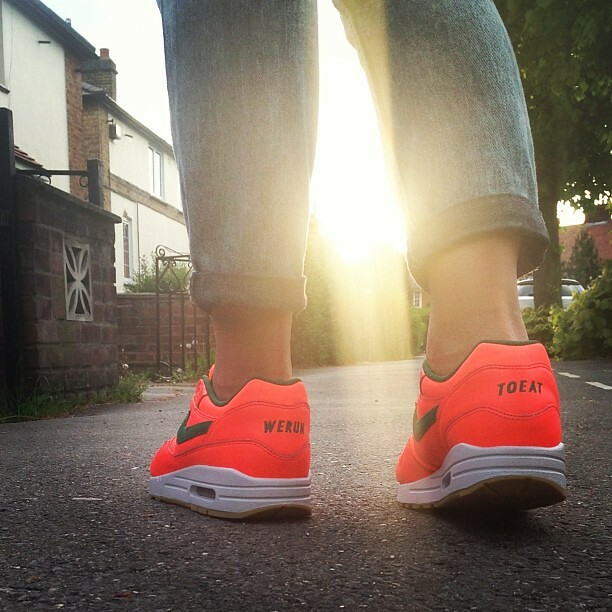 We have had such a fun journey with Nike - from being glammed up for an ELLE shoot to having the opportunity to customise a pair of Food and Lycra themed Air Max One's at Nike iD Boxpark and wearing their latest running gear for our runs around the world. We've even connected with some super fit and fly ladies on Instagram who have signed up for We Own The Night in Paris, Berlin and Amsterdam (INTERNATIONAL BABY!). Running, proving once again that it not only keeps you fit, your mind clear but also brings people together - no matter where you are in the world. Bring on Saturday! We are all set for We Own The Night. See you at the start-line for an unforgettable run in our city.